True Believers Comic Festival returns for another day of comic book fun. Full details on everything will be announced over the coming months and tickets can be bought now from this very site. If you would like to be kept up to date on all things True Believers please complete the mailing list form below and we will email you updates as and when they happen. You can also be kept up to date by following us on Twitter and Facebook. 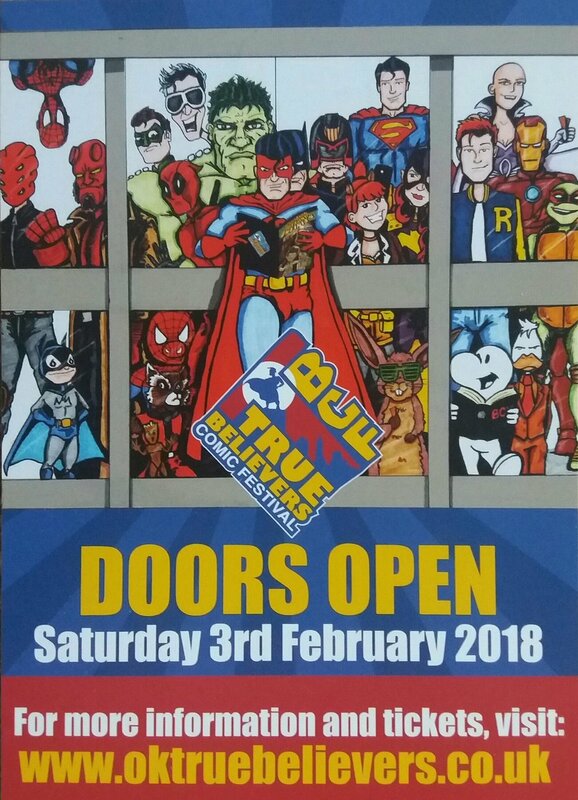 You can also find updates and information on True Believers 2018 (and the events that we have going on in the run up) our official Facebook Page and on the official Facebook event page as well. You can also follow us on Twitter too. Please give the pages a Like/Going/Follow and share them with your friends and help us spread the word. And don't forget to use the hashtag #TBCF2018 when you post about True Believers on social media. Thank you True Believers and we'll see you in February 2018.